The EMS 300R T is a large chamber, rotary-pumped coating system ideally suited for sputtering a single large diameter specimen up to 8"/203 mm (e.g. a wafer), or multiple smaller specimens over a similar diameter. The EMS 300R T is is suitable for sputtering non-oxidizing (noble) metals, e.g. gold (Au), gold/palladium (Au/Pd) and platinum (Pt). For oxidizing metals see the EMS 300T T Plus and EMS 300T D Plus. 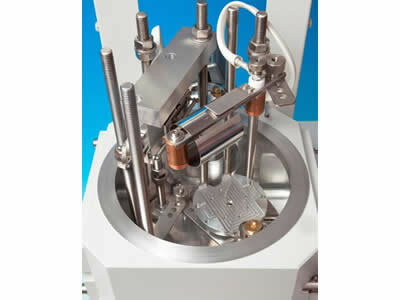 The EMS 300R T is suited for sputtering noble metals, such a gold (Au) and platinum (Pt), for scanning electron microscopy (SEM) and thin film applications. The EMS 300R T is fitted with three individual sputtering heads to ensure even deposition of individual large specimens or multiple smaller specimens. 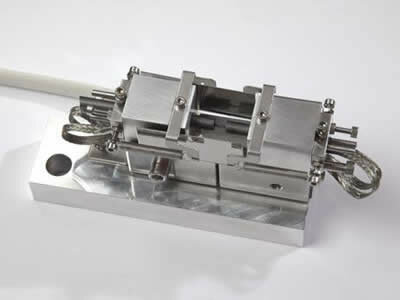 For economical coating of small specimens, 'single target' mode can be selected. Note: It is not possible to sequentially sputter three different sputtering metals from each sputtering head – for sequential coating see the EMS 300T D Plus Dual Target Sequential Sputtering System. The EMS 300R T is presented in a custom molded, one-piece case, allowing easy servicing access. The embedded color touch screen allows multiple users to input and store coating 'recipes'. The case houses all the working components, including automatic bleed control that ensures optimum vacuum conditions during sputtering. 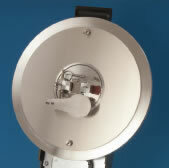 The vacuum chamber has an internal diameter of 283 mm/12" and comes with an integral implosion guard. The EMS 300R T also includes 'vacuum shutdown', a useful feature which enhances vacuum performance by allowing the chamber vacuum to be maintained when the system is not in use. 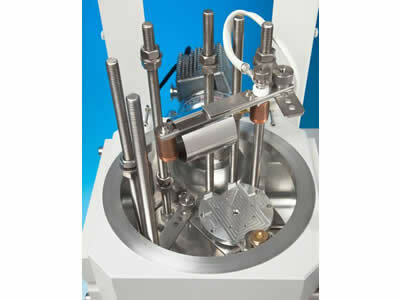 A variable-speed rotary specimen stage is fitted as standard and is suitable for 8"/200 mm and 6"/150 mm wafers. For other stages, see Ordering Information. At the operational heart of the EMS 300R T is a simple color touch screen, which allows even the most inexperienced or occasional operator to rapidly enter and store their own process data. To further aid ease of use, a number of typical sputtering and carbon coating profiles are already stored. For added convenience, summaries of the last 100 coatings carried out can be viewed. The touch screen interface features maintenance prompts that highlight time of last clean, coating time since last cleaned, system 'on time' and time of last service. A suitable rotary vacuum pump is required. The Pfeiffer DUO 6 5m3/hr two-stage rotary vacuum pump (91003) is ideal for this purpose. Dry pumping alternatives are also available. See Ordering Information for more details. Rotation stage: 50 mm Ø. There is no tilt or height adjustment – only rotation. Rotate-tilt stage: 50 mm Ø with height adjustment (target-to-stage height variable between 30-80 mm). The tilt angle can be preset (horizontal to 30°). Film Thickness Monitor (6555). Consists of a controller and quartz crystal oscillator built into the EMS 300R T, plus a vacuum feed-through, chamber-mounted crystal holder and quartz crystal. Cannot be used when the coater is operated in 'single target' mode. Sputtering 0-80 mA to a pre-determined thickness determined by the built-in timer or optional film thickness monitor. The maximum sputtering time is 60 minutes (without 'breaking' vacuum and with built-in rest periods). The EMS 300T T Plus is a large chamber, turbo-pumped coating system, ideally suited for sputtering a single large diameter specimen up to 8"/200 mm or multiple smaller specimens over a similar diameter. 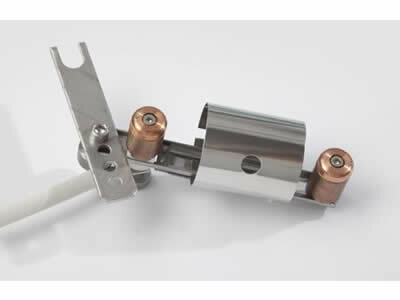 Ideal for thin-film applications and SEM/FE-SEM. 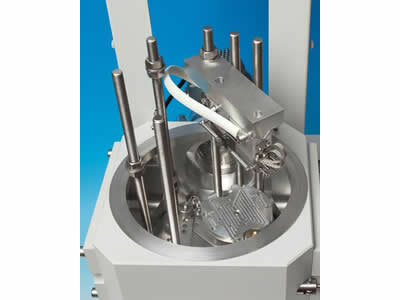 It is fitted with three sputtering heads to ensure even deposition of individual large specimens or multiple specimens. NB: Please note it is not possible to sequentially sputter three different sputtering metals from each sputtering head – for sequential coating see the EMS 300T D Plus. Removable glass chamber and easily accessible base and top plate allows for an easy cleaning process. 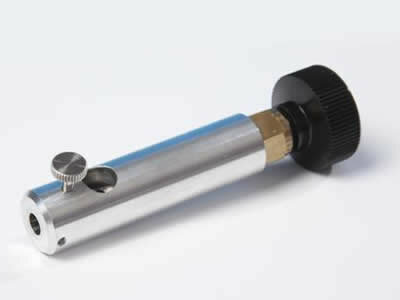 Users can rapidly change the chamber, if necessary, to avoid cross contamination of sensitive samples. Tall chamber option is available for improved uniformity for sputtering and to hold larger substrates. 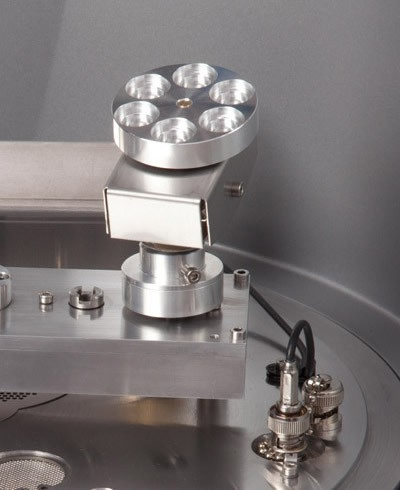 The EMS 300T T Plus is fitted with three individual sputtering heads to ensure even deposition of individual large specimens or multiple specimens. For economical coating of small specimens, 'single target' mode can be selected. They are ideal coaters for the preparation of large specimens for examination by SEM, FEG-SEM. 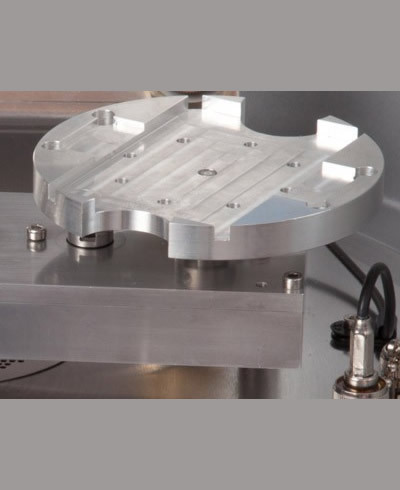 To ensure even deposition, the EMS 300T T Plus coaters are fitted with a rotating specimen stage and three individual magnetron target assemblies, which enhance the efficiency of the process by using low voltages. 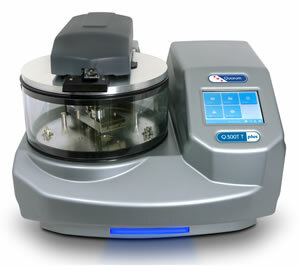 The EMS 300T T Plus has specimen stages to meet most requirements. All are easy-change, drop-in style (no screws) and the rotation speed is variable between pre-set limits. Flat rotation stage for 200 mm/8" and 150 mm/6" wafers (fitted as standard). High vacuum turbo pumping allows sputtering of a wide range of oxidizing and non-oxidizing metals for thin film and electron microscopy applications. Automatic vacuum control which can be pre-programmed to suit the process and material, therefore removing the need for manual intervention or control. 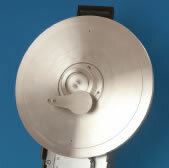 Sputter coating is a technique widely used in various applications; it is possible to create a plasma and sputter metals with high voltage, poor vacuum and no automation. 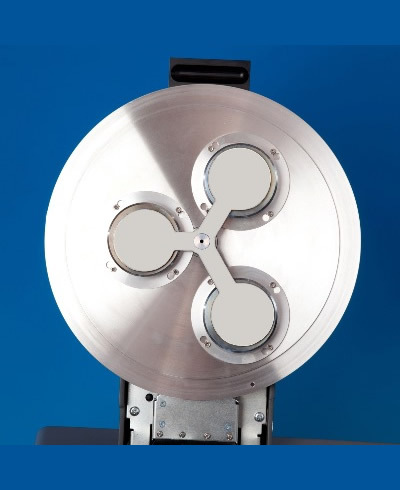 However, this is not suitable for electron microscopy applications because it can heat the sample and result in damage when the plasma interacts with the sample. 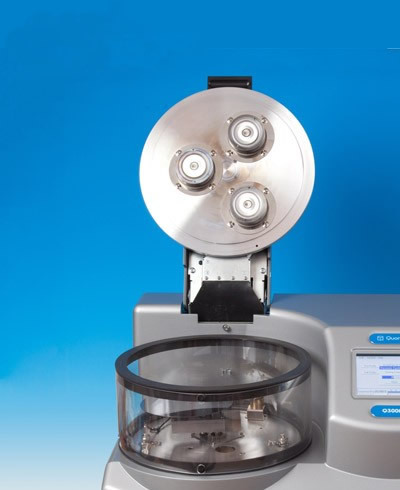 The EMS 300T T Plus uses low temperature enhanced-plasma magnetrons optimized for the turbomolecular pump pressures, combined with low current and deposition control, which ensures your sample is protected and uniformly coated. The EMS 300T T Plus uses easy-change, 57 mm diameter, disc-style targets which are designed to sputter oxidizing and noble metals. 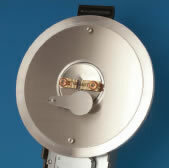 The EMS 300T T Plus is fitted as standard with a chromium (Cr) sputter target. Other targets options include; Au, Au/Pd, Pt/Pd, Pd, Pt, Cu, Ir, W, ITO and Al, etc. Aluminum (Al) rapidly forms an oxide layer which can be difficult to remove. The EMS 300T T Plus has a special recipe for Aluminum that reduces the oxide removal time and prevents excessive pre-sputtering of the target. 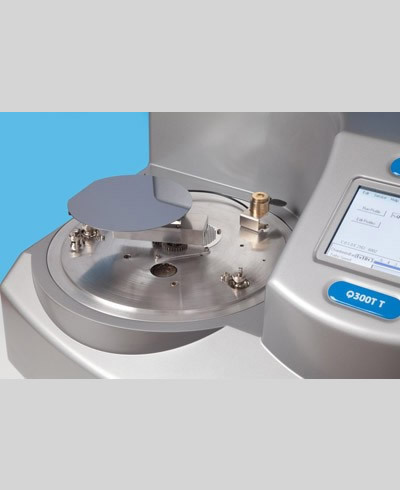 The EMS 300T T Plus can be fitted with an optional film thickness monitor (FTM), which measures the coating thickness on a quartz crystal monitor within the chamber, in order to control the coating thickness of material deposited on to the sample. Specimen stage A flat rotation stage for 6" (150 mm) and 8" (200 mm) wafers is fitted as standard. 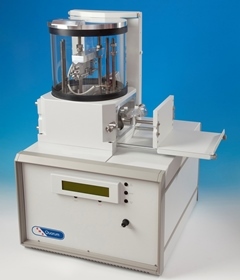 The EMS 300T ES is a large chamber, turbomolecular-pumped coating system ideally suited to metal evaporation onto large diameter specimens up to 6"/152 mm (for example a wafer) or smaller multiple specimens. The EMS 300T ES also comes with interchangeable sputtering and carbon evaporation inserts to allow a coating radius of up to 4"/102 mm. The sputter coating insert will deposit both oxidizing metals, e.g. chromium and Aluminum and non-oxidizing (noble) metals such as gold and platinum. A chromium (Cr) target is fitted as standard. The EMS 300T ES has a full range of optional accessories, including specimen stages and film thickness measurement which means the system can be tailored to the precise requirements of the user. The EMS 300T ES allows controlled thermal evaporation of metals onto large substrates (up to 6"/152 mm). 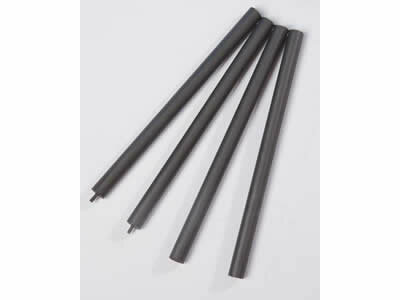 For many evaporative processes, tungsten filaments supplied with the system are used. However, some metals require the use of a molybdenum boat, which can also be used for heat-cleaning SEM and TEM apertures. The advance design of sputtering head, power supply and system control allows sputtering of both oxidizing and non-oxidizing (noble) metals for thin film applications and for scanning electron microscopy (SEM) coating. The full range of target materials available is extensive and detailed in the Ordering Information section. For sputtering applications where thick films are required, then the EMS 300T ES can operate for up to 60 minutes. The carbon rod evaporation insert allows high quality carbon films to be deposited over a radius of up to 4"/102 mm. The EMS 300T ES uses controlled ramped carbon rod evaporation to ensure optimum control of the process and quality of results (with or without the optional film thickness measurement system). In addition the quality of the resulting carbon films is enhanced by the eradication of "sparking" which is a common problem with less advanced coating systems. The EMS 300T ES is fitted with an internally mounted 70 L/s turbomolecular pump backed by a 5m3 hr two-stage rotary pump (order separately). A full range vacuum measurement gauge is included. Typically ultimate vacuums of around 5 x 10-5 mbar can be expected in a clean system after pre-pumping with dry nitrogen gas. For details of pumping options, see Ordering Information. At the operational heart of the EMS 300T ES is a color touch screen which allows users to rapidly enter and store their own process data. A range of typical sputtering and evaporation profiles are pre-installed. The EMS 300T ES uses an 'Intelligent' recognition system that automatically detects the type of coating insert fitted and "becomes" either an evaporator, carbon coater or sputter coater. The EMS 300T ES is presented in a custom-molded, one-piece case allowing easy servicing access. The case houses all the working components and includes an automatic bleed control that ensures optimum vacuum conditions during sputtering. The vacuum chamber has an internal diameter of 283 mm/11" and comes with an integral safety guard. The vacuum shutdown option enhances vacuum performance by allowing the chamber vacuum to be maintained when the coater is not in use. 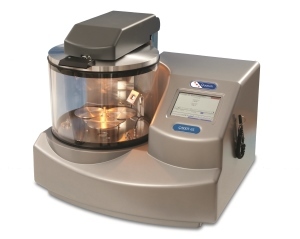 A variable speed rotary specimen stage is fitted as standard and accommodates specimens up to 4"/100 mm in diameter. For details of other stages, see Ordering Information. 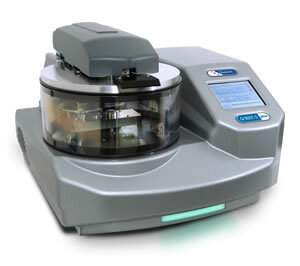 The EMS 300T ES has additional specimen stages to meet most requirements. All are easy-change, drop-in style (no screws) and are height adjustable (except for the rotary planetary stage). Rotation speeds are variable between preset limits. Rotary pump 5m3 hr two-stage rotary pump with oil mist filter. (Order separately: see 91003). Dry pumping option available. The EMS975 Turbo Evaporator is a multiple application system to enable a range of preparation techniques to be applied with the flexibility and module expansion capability to develop new methods and prepare new specimens. The EMS975 allows for carbon evaporation, metal evaporation from both baskets and crucibles and sputter coating option. 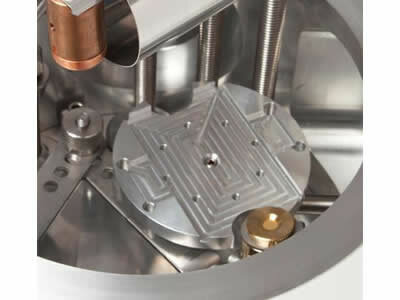 A range of techniques can be practiced including carbon support films and replicas for TEM, carbon/metal evaporation, low angle shadowing and sequential layer coating using dual source evaporation and the sputter option can be used for a range of target materials. The system flexibility is further enhanced by the use of a microcontroller, which readily allows the customer access to a range of options, but readily 'defaults' to optimum operating conditions, allowing both fully automatic and manual override as required. The unique loading rack out drawer system gives the user easy sample access with good sample size and the hinged lid assembly makes any other areas of the system readily accessible. The unit has a turbo pump, externally mounted for convenience and easy exchange, and is backed up by a Rotary Vacuum Pump. The complete pumping sequence is under fully automatic control, achieving a high vacuum for evaporation. The unit is bench mounted, with easy to use controls, and cannot be damaged by inadvertent use. 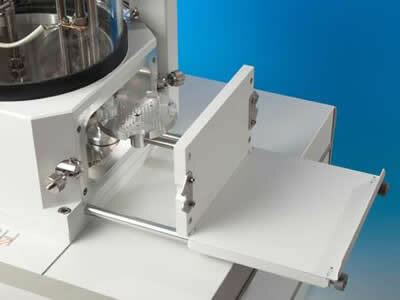 The EMS-975S is based on the EMS-975, however it has a special load lock door which allows the entry of 8" wafers with carbon coating, or other samples up to 140 mm x 140 mm square. Rack out drawer sample loading system. Instrument case 450 mm (W) x 500 mm (D) x 300 mm (H). Work Chamber Borosilicate Glass 250 mm (Dia.) x 300 mm (H) with hinged top plate (can accommodate samples to 200 mm) (8") in Dia.